A brand new way to play Burnout Paradise online is coming this Thursday, and Criterion Games has revealed the price you have to pay for getting mixed up with the Cops & Robbers scene. 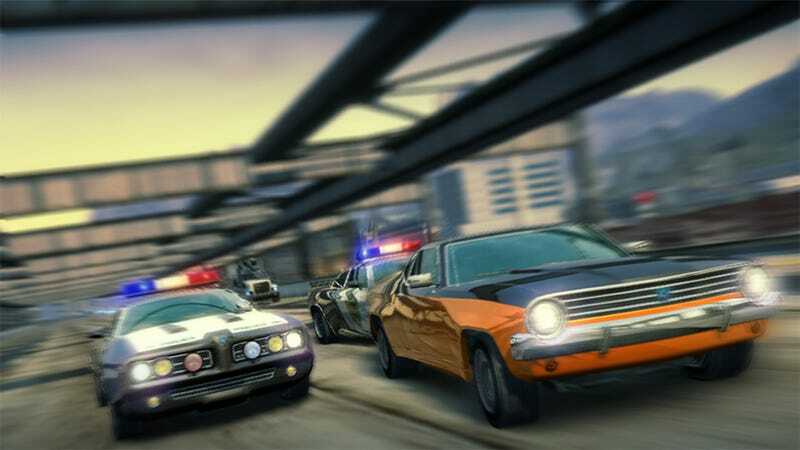 The Burnout Paradise Cops & Robbers pack introduces a ton of new police-themed makeovers for your favorite Paradise City rides, along with a brand-new online mode that pits criminals and the authorities against each other in a tug-of-war with a load of stolen gold. How much is all of this going to run? $9.99 or 800 Microsoft points, with Europe paying €9.99 and the UK forking over £7.99. Seems like a reasonable price to me, though I tend to prefer simply driving around and crashing into things randomly to any sort of organized play. So who plans on picking up the pack?